Computational thinking (CT) is a higher order problem-solving and cross-curricular skill, but it’s hard for educators to know where to start with this timely topic. In this webinar, we’ll break down the definition of CT and explain how it connects to computer science practices you may already be familiar with. You’ll also get authentic examples that incorporate the ISTE Standards for Students, hear about best practices and discover resources for mastering CT. 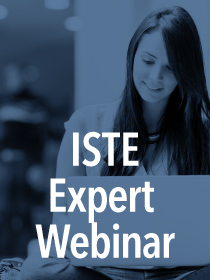 This ISTE Expert Webinar is presented by Jorge Valenzuela of the ISTE Computer Science Network.